Sometimes it seems like electricity is the magic juice that powers our electronic devices every time we plug them in. 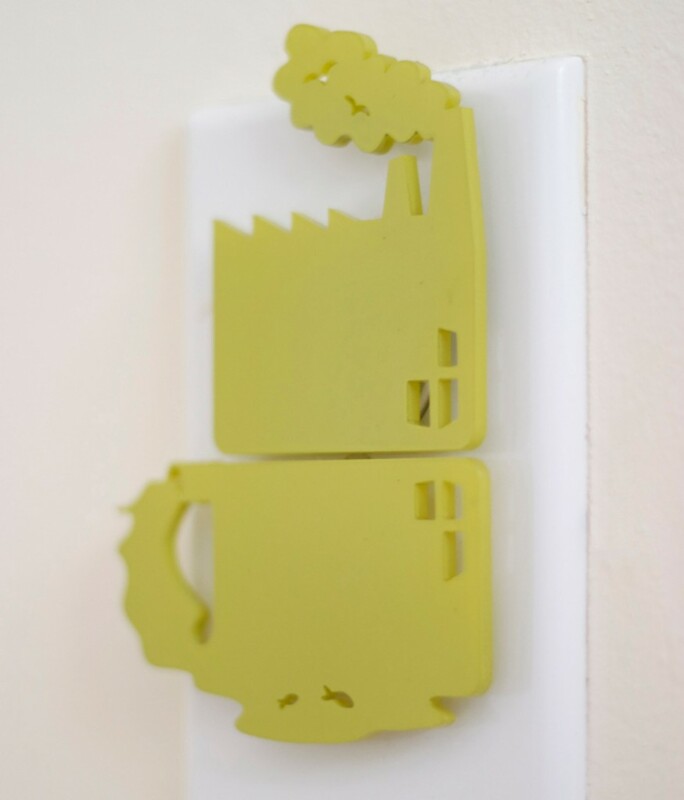 These are outlet protectors for the environment I have created; a set of two socket covers that serve as daily reminders of the real source of electricity and the impact it has. Every time you remove this power plant shaped socket protector to plug in your device you are more aware of the environmental impact electricity has. Even just walking by them in your home, it immediately de-mystifies the source of electricity. I think having a daily reminder of the real source of electricity — realizing its so much more than just flicking a switch — could have a great impact on people’s daily consumption of electricity. Unplug was exhibited at “Fixed” a design show curated by the Southern Design Concern. The show was in June 2011 as part of Modern Atlanta‘s Design is Human Week.